There are several alternative mind and body wellness care therapies available for cancer patients. Often called Complementary or Alternative Medicine (CAM), these therapies offer treatments that can help patients cope with the side effects of cancer, promote the feeling that they are doing something about their individual care and diminish the stress and worry one feels when dealing with cancer. Let’s take a look at a few of these treatments to see if they may work for you. Meditation and Yoga are relaxation practices that help to clear the anxious mind. Close to 80 percent of breast cancer patients undergo alternative therapy for their diagnosis. Meditation and Yoga are recommended for breast cancer patients because they help to with mood disorders for those who are recently diagnosed with breast cancer. These practices help in dealing with these side effects in a positive way and reduce stress levels overall. Using skin therapy is another way to help deal with the side effects of cancer. Treatments for breast cancer such as chemotherapy can impact your skins normal moisture level. In addition, redness and peeling may develop that cause issues with skin during breast cancer treatment. There are a number of skin therapy procedures that may help with skin issues. As always check with your doctor or dermatologist to help you develop a skin treatment plan specific to your needs. Massage therapy is another great way to help handle dealing with your cancer diagnosis and treatment. Massage offers a way for cancer patients to relax, feel whole again, rebuild hope, feel more positive about their bodies and share feelings in an informal environment. Additionally, massage helps cancer patients handle fatigue, pain nausea and anxiety. Also, individuals experience improvements in sleep, mental alertness, increased range of motion, quality of life enhancements and better health of scar tissue. 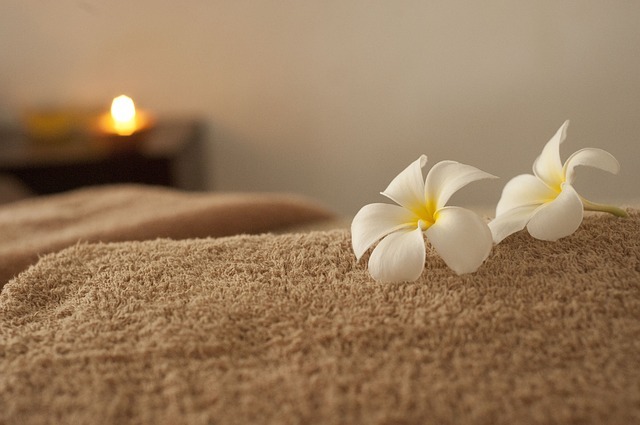 Give massage therapy a try the next time you feel stressed or fatigued. Acupuncture has been show to ease the side effects of cancer as well. Nausea, vomiting, immune suppression, anxiety, depression and dry mouth that are often experienced following cancer treatment are shown to be diminished with the use of acupuncture. Acupuncture uses a thin sterile needle to puncture certain parts of the body based on individual need. These pressure point punctures can improve range of motion and help increase flexibility and decrease scar tissue. Aromatherapy has been around for a long time. These essential oils help relieve pain and improve a cancer patient’s quality of life. The oils can be applied and inhaled to administer their benefits. Lavender, peppermint, eucalyptus, chamomile, cinnamon, and others all offer certain health benefits. To understand the full benefit of each oil, visit your local health food store or research essential oils online. The emotions and stress related to cancer can sometimes seem overwhelming. Another positive way to deal with these issues is through music therapy. Music therapy can help you express your emotions, cope with symptoms and treatment side effects, re-develop your sense of creativity, improve your emotional and physical well-being, and help you relax. Why not tap on a drum or strum a guitar? You’d be surprised at how good you feel afterwards. CAM therapies offer a number of benefits for cancer patients. From skin therapy to acupuncture these therapies reduce stress, help you to handle changes in your skin, and provide a way to help your body feel better as you deal with your cancer treatment. No treatment is a proven cure, but these therapies offer a way to feel just a little bit better.